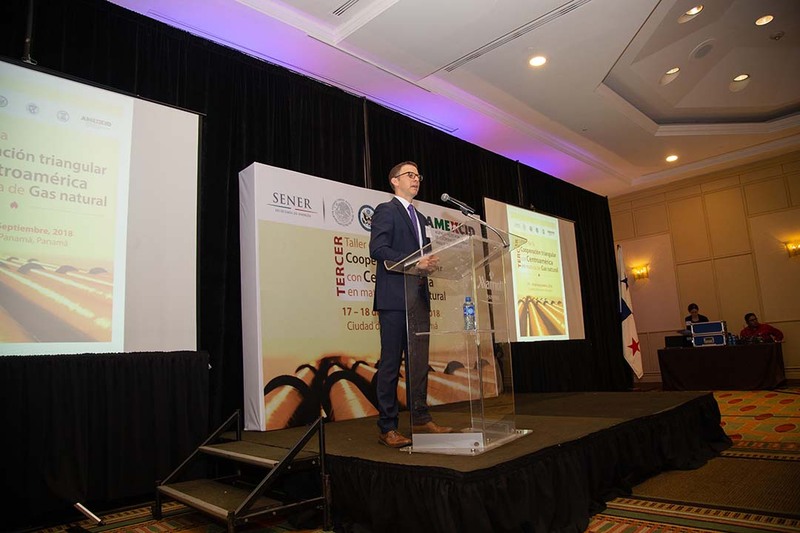 Peter Greenwood, Country Manager, Latin America and the Caribbean, USTDA, gives opening remarks. After the Caribbean, Central America has the highest dependency on imported oil for power generation in the Western Hemisphere. As a result, governments throughout the region have developed policy goals to reduce oil dependency, and many see natural gas and natural gas derivatives (e.g., Liquified Natural Gas, or “LNG”) as the means to advance energy security and reduce their reliance on heavy fuel oil and diesel in their respective energy matrices. Complementing this priority of energy matrix transition, the private sector throughout Central America views natural gas as a strategic opportunity to lower electricity costs and enhance competitiveness. 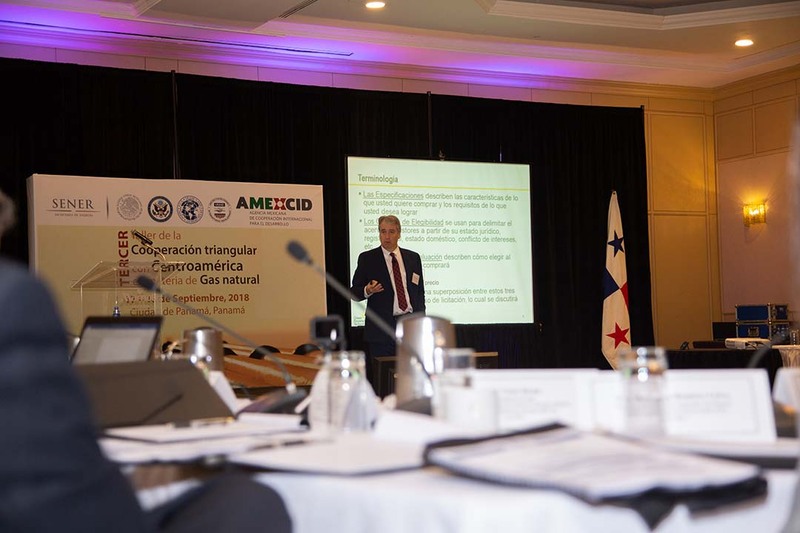 The Central America Gas Opportunities Program, funded by the U.S. Trade and Development Agency (USTDA) and arranged by Meridian International Center, consisted of a workshop series and a reverse trade mission (RTM). 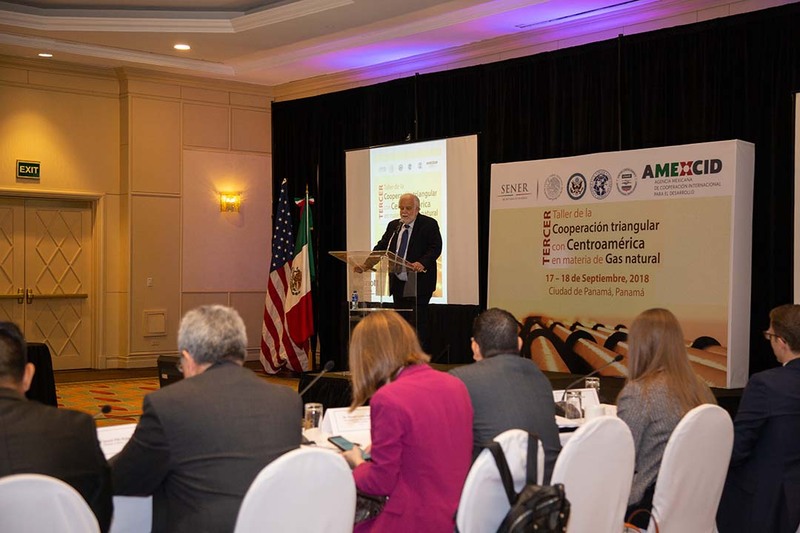 The workshop series was a collaborative inter-agency initiative between USTDA, the Department of State, USAID, and the Government of Mexico. 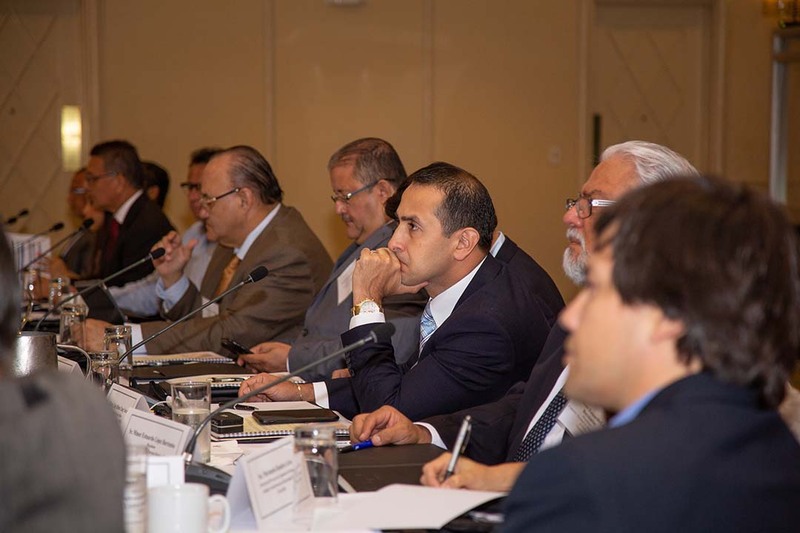 The workshop series consisted of two separate and distinct workshops for approximately 26 government representatives from Central America and Mexico and focused on: 1) building strong energy markets that mobilize investment; 2) integrating energy markets in Central America; and 3) facilitating U.S. gas exports. The first workshop took place in Washington, DC July 18-20, 2018, and the second took place in Panama City, Panama September 17-18, 2018. The program’s RTM component was separate and distinct from the workshop series and was designed for 10 representatives from Honduras’ energy ministry, regulators, and electric utilities. 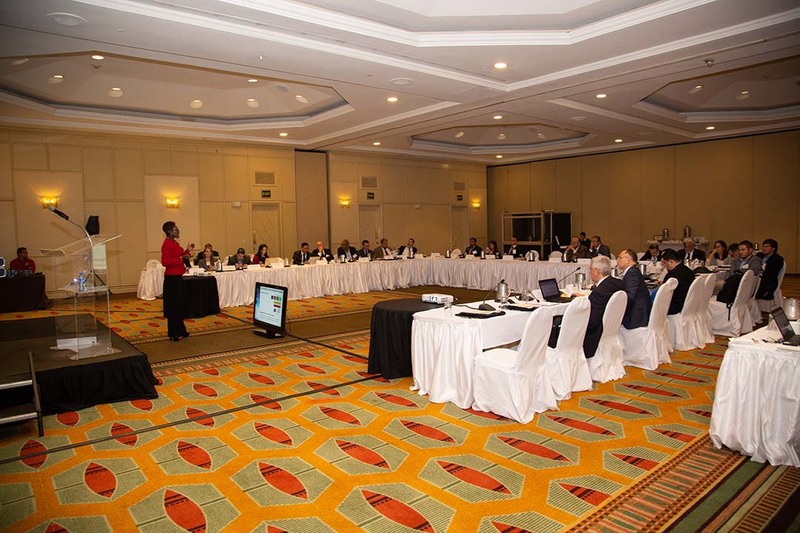 The RTM focused on developing planning mechanisms and infrastructure solutions for small- to medium-scale gas terminals and power generation facilities in Honduras. The RTM took place in Houston, TX and Washington, DC August 12-18, 2018. Victor Carlos Urrutia, Secretary, National Secretariat of Energy, Panama, delivers welcoming remarks. Bob Kwartin, Energy Business Development Consultant, Green Powered Technology, LLC, presents a training on energy procurement. Cheryl Lewis, General Counsel, Office of Utilities and Regulation, Jamaica, delivers a session on global market development in Jamaica. Luis Alfonso Chang Navarro, Minister of Energy and Mines, Ministry of Energy and Mines, Guatemala, listens intently to the welcoming remarks.